We recently shared with you the winner of our “name that hardware” contest. It was Amy Atwood from Laforce Decorative Hardware in Madison Wisconsin. 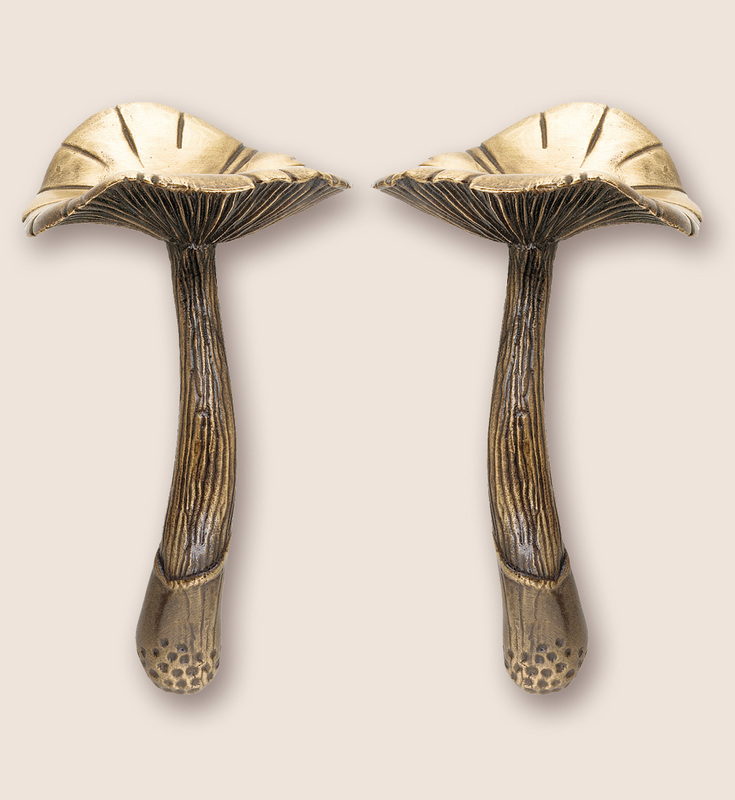 When Amy received her gift she promptly wrote us and exclaimed that the mushrooms were “gorgeous.” She also told us she plans on remodeling her powder room soon and hopes to build the design around these wonderful and whimsical pulls. Pictures will follow and we will be sure and share those with you once her new powder room is complete. Be sure to follow us on facebook so that you can be be aware of any future contests and giveaways. Who knows, you may be the next winner of a wonderful piece of custom hardware for your home or business. You can view our entire collection or contact us for bespoke orders at www.martinpierce.com. This entry was posted in Uncategorized and tagged custom hardware, laforce decorative hardware, mushroom designs, mushroom door pulls, powder room remodel. Bookmark the permalink.